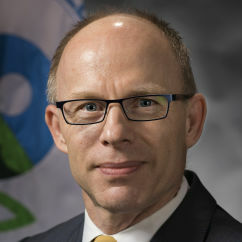 Dr. Jeffery Morris is Director of US EPA’s Office of Pollution Prevention and Toxics (OPPT), which regulates industrial chemicals under the Toxic Substances Control Act (TSCA) as well as administers the Pollution Prevention Act. In his 24-year career at EPA, Jeff has held a number of positions across the agency, including serving as acting director of the Office of Science Policy and as National Program Director for Nanotechnology Research. Jeff has a PhD in Science and Technology Studies from Virginia Tech, and has published research on risk and environmental policy.